By Cheryl Mathieu, Ph.D., M.S.W. 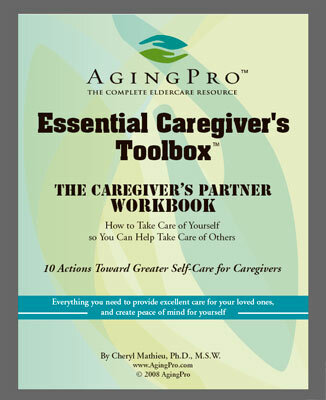 contains worksheets for you to record essential personal information, details and documents that are essential to have available, for yourself or those caring for you.The Personal Information eWorkbook acts as a guide and gives you space for tracking all your important information in one booklet. It provides an organized tool for keeping it all in one place and readily accessible. This is not just an exercise for older people. Everyone needs to have this information available � we never know when it will be needed, but you will want it when it�s needed. You might need this information if: you are filling out questionnaires or applications, you are hospitalized, you�re seeing a new doctor, there is a disaster, you are incapacitated or your loved ones want / need to know. This is a workbook you won't want to go without! Not only it is a valuable tool for yourself, but having it filled out and all the information in one place when it's needed is a invaluable gift to give those who someday may need it to help you.